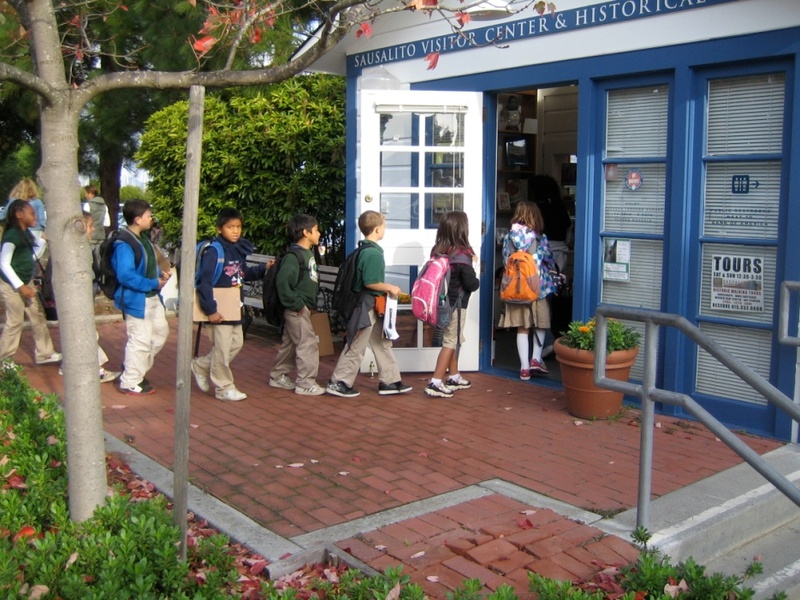 In 2010, the Sausalito Historical Society (SHS) piloted a program about Sausalito history in the Sausalito Public Schools for third grade students at Willow Creek Academy and Bayside/MLK Academy. Now in its sixth successful year, the program is endorsed by teachers, parents and students alike and has grown from 45 to 65 students and from one curriculum unit to three. More than 300 students have gone through the program since its inception. 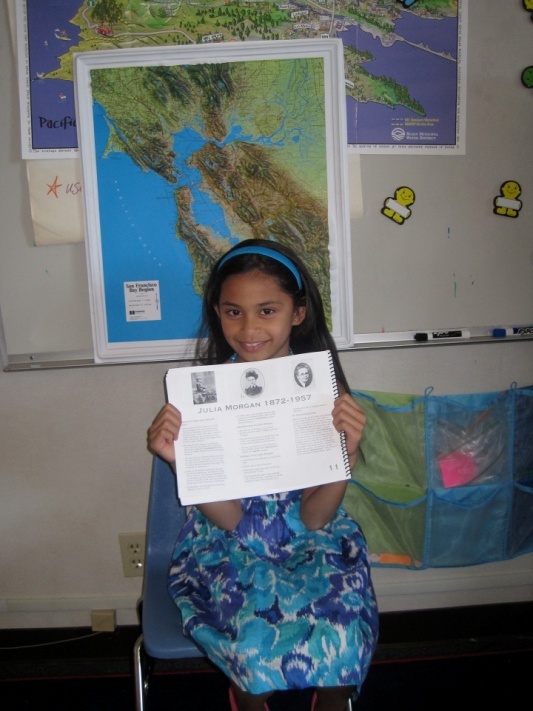 2016 Schools Program "Slide Show"
The goal of the program is to encourage teachers and students to explore Sausalito’s interesting past. The program starts with the question What is History? which gives students an appreciation of their role in the history of the larger community. The first unit features a then-and-now appreciation of Sausalito’s historic downtown buildings and businesses. The second portrays colorful personalities and families from Sausalito’s past and the most recent unit explains and documents the history of the World War II shipyard, Marinship. 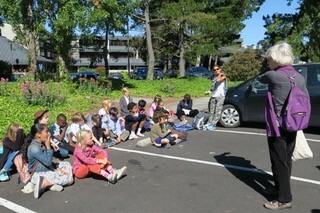 For each topic, several docents appear once in the classroom to introduce the topic-related workbook and once to lead a class field trip in Sausalito. Each workbook has been researched and designed by SHS volunteers in conjunction with teachers and administrators of the Sausalito Public School District. It is comprised of historic pictures, maps, facts and a glossary as well as space for student notes and sketches. To further encourage students in their study, SHS provides each classroom with a set of Sausalito history books (Arcadia Press) and a copy of Jack Tracy’s Moments in Time history. In the course of the year, the students write about a specific topic such as an individual building, a person or a Marinship job and have their pictures taken in a theme related photo. At the end of the year, they receive a framed document that includes the photo and their own writing. Spring 2017 School Program Visit to the Bay Model and Marinship "Slide Show"
Since 2010, SHS Schools Program expenses have been funded primarily from the Sausalito Historical Society's operating funds with help from the Sausalito Public Schools, The Willow Creek Foundation and local businesses and individuals. 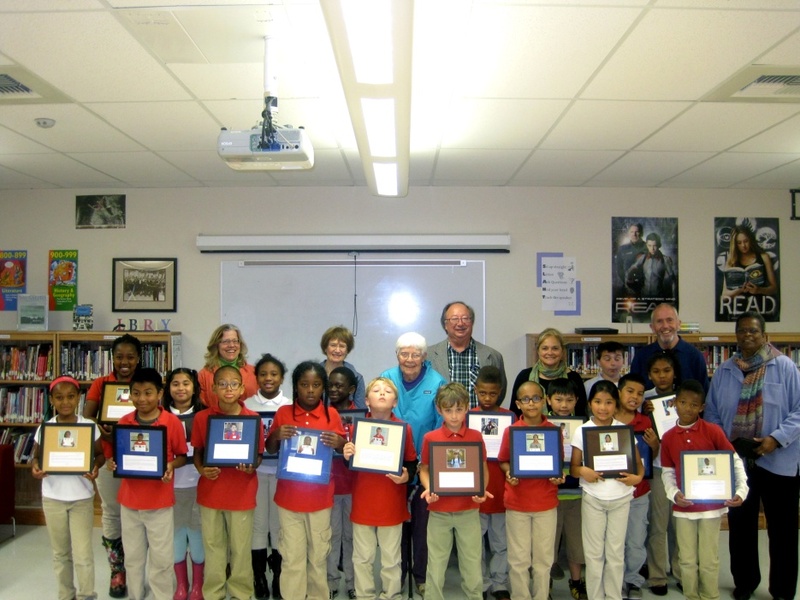 Waterstreet Hardware, Lappert's Ice Cream and Sausalito Picture Framing have provided in-kind donations to help supply student clipboards, student lunch treats and award certificates. 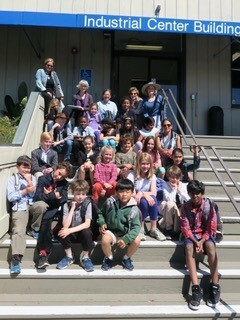 Please contact the SHS at 289-4117 if you would like to join the fun as a School Program docent. We will train you! Help Fund our Schools Program. You donation is tax deductible.